Hill, as seen from the intersection of 33rd and Walnut Streets, is located within easy reach of much of campus. Hill College House was closed from for the 2016-17 academic year so it could receive an $80 million renovation. With fresh student rooms, public gathering and study spaces, and now air conditioning throughout, Hill is ready to continue its history of creating great Penn communities. No other College House has Hill's sweeping courtyard, fountain, bustling dining hall, intimate shutters, and stunning artwork entitled "The Apotheosis of Franklin" (1926) by N.C. Wyeth. Hill's entrance "drawbridge" was envisioned by the architect as a way to secure the campus's first dorm for women. Now a home for Penn undergrads of every gender and academic pursuit, it also provides a place to relax before joining the active life of the House. We welcome you to Hill College House here at the University of Pennsylvania! Hill was closed for the 2016-2017 academic year for extensive renovations and we're excited to have Hill back!! You can learn more about the project at this link (link is external). At Hill College House, we care deeply about integrating first-year students into the Penn and Philadelphia community that will ultimately launch them into campus, the city and beyond. We live in a space that was built to connect people to one another, and we take that very seriously. In fact, Hill rests on four pillars: Empower. Explore. Engage. Express. These pillars inform the programs and events we offer inside and outside of our house, on and off campus, that define our community. 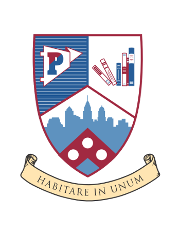 And to our incoming community, we say; congratulations on getting admitted to Penn and we look forward to welcoming you to Hill College House. 9am-5pm. The house office is located in the Atrium, Room A236.